Malpractice attorneys with actual medical experience and credentials are rare but that’s what our clients get with Collopy & Carlucci. 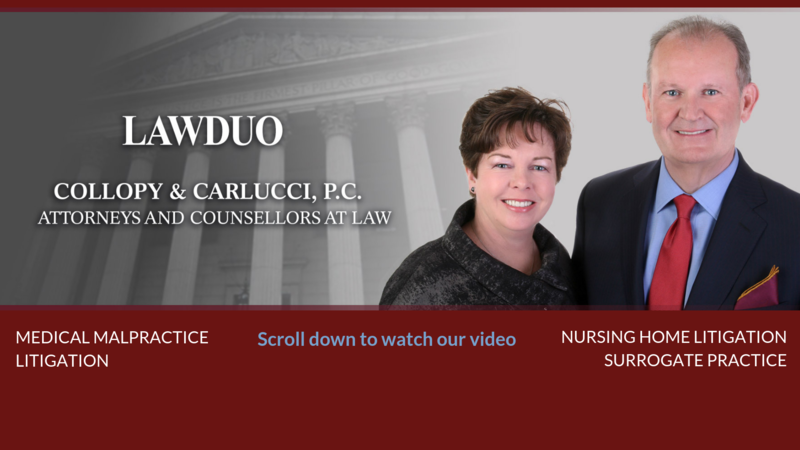 You have the benefit of working with two experienced attorneys: The LawDuo. Together, Alice Collopy and Michael Carlucci have the knowledge of the healthcare industry and know exactly how to manage a malpractice case. Do you know if you or a family have been a victim of medical negligence? You have questions and we have the answers for you. If you believe a health care provider caused a delay in your treatment leading to a more serious condition, contact us. Not every attorney is a litigator. 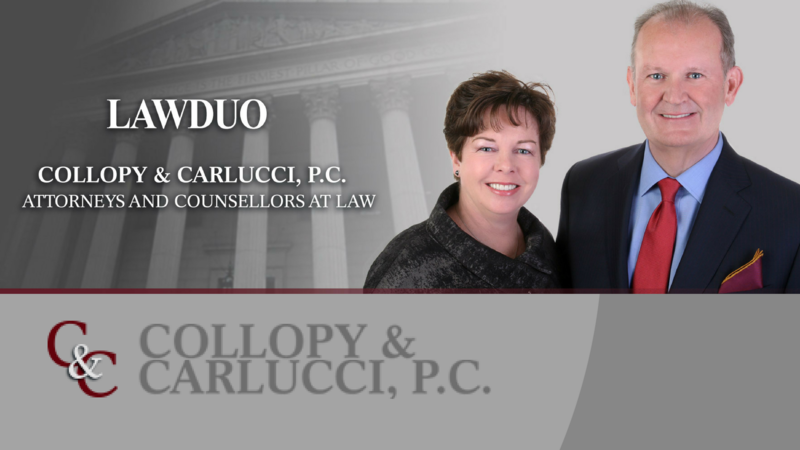 Alice Collopy & Michael Carlucci have been litigating cases in the courtroom for a total of 60 years. Senior parents may need help in day-to-day decisions. A disabled child may not be able to care for herself once she reaches 18. A Guardian may be the solution. Nursing home placement seems to be an inevitable part of our lives. Each patient is entitled to respect and dignity. If you think you may be a victim of medical negligence, contact us today for a confidential consultation. Let us tell you how we can help and what you can do to protect yourself. Fill out this form with your name and phone number and simply type "consultation" in the subject area.